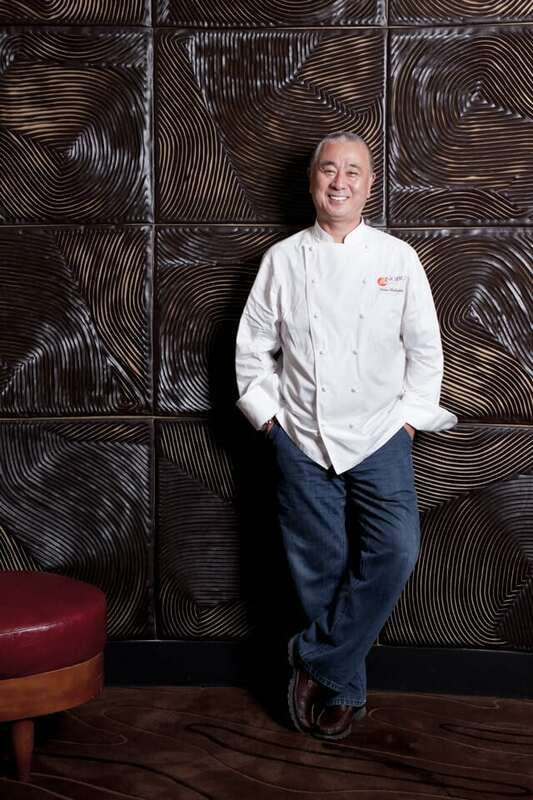 The use of reclaimed teak flooring, siding, ceilings, soffits, tables and bar at the acclaimed Matsuhisa restaurant in Denver Colorado sets the tone for Chef Nobu and his beloved restaurant, Matsuhisa. 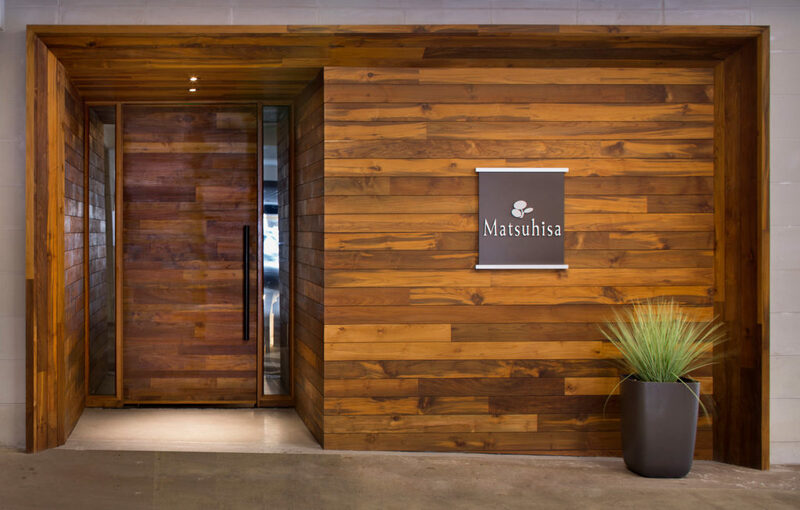 Stunning reclaimed teak lines the valet entrance at Matsuhisa Denver. 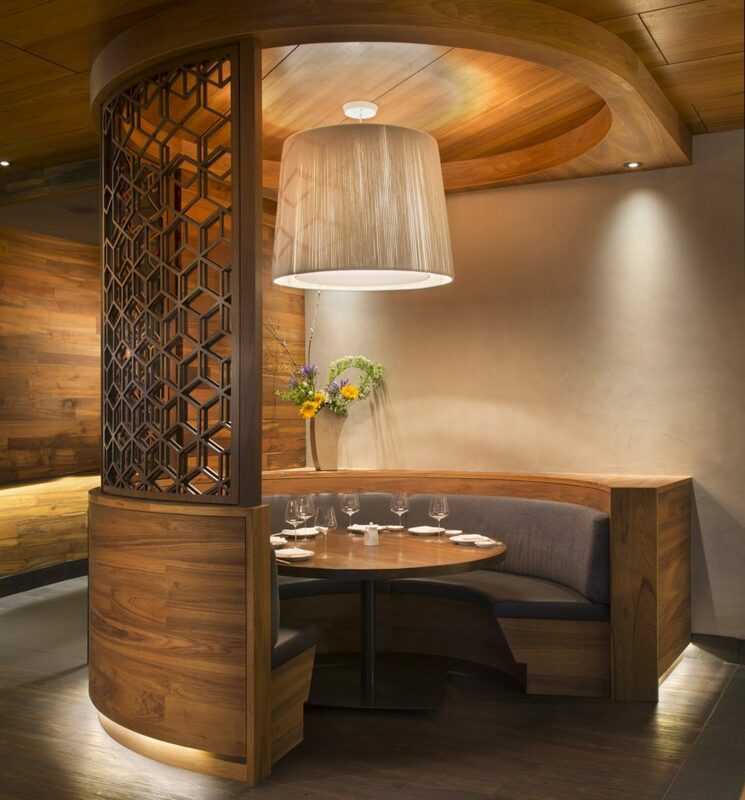 The warmth of the reclaimed teak wood paneling in the booths at Matsuhisa are nothing short of gorgeous. 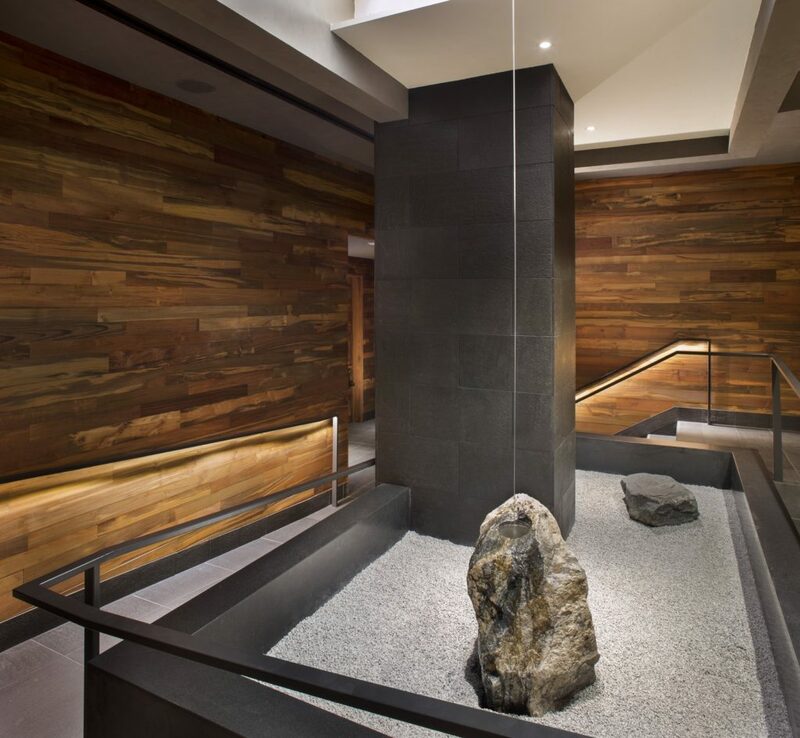 The use of the reclaimed teak throughout Matsuhisa in Denver was for more reasons than one. 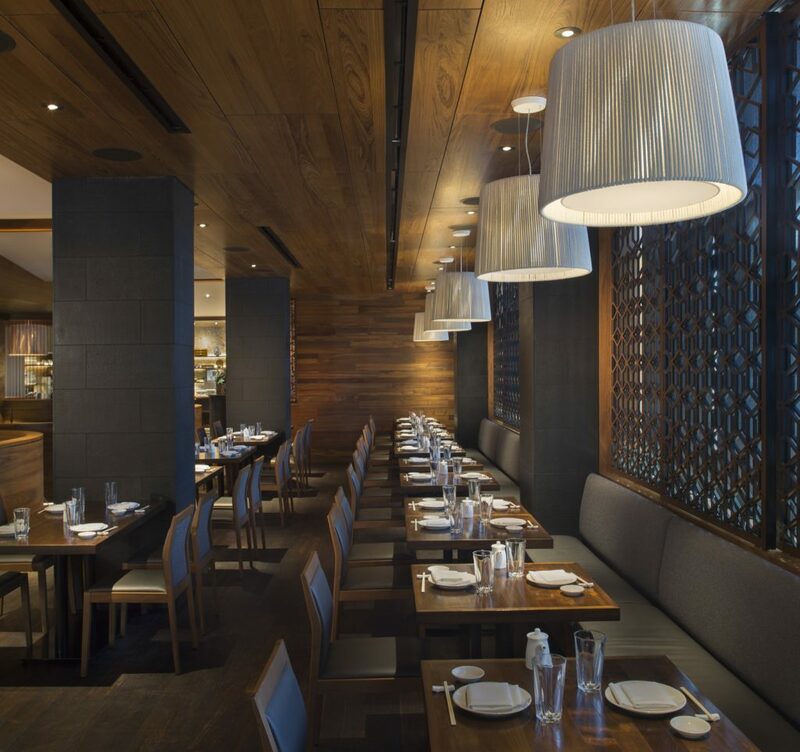 While the flooring is renowned for its long lasting attributes of water resistance, which is absolutely a must for any restaurant, the wood from Indoteak Design has an even deeper story. All the teak used is reclaimed. Which means that no trees are cut down to produce the raw material. Indoteak Design finds old buildings throughout South East Asia that are being torn down due to new construction and growth. They gather the piles of wood and take them back to their factory and sort them out for production. Each piece is hand sorted, sanded, patched, cut and turned into flooring, siding, tile, decking and more. The time and care it takes to produce are lengthy but worth it for the planet and for people who want to go green. Also each piece of wood is 100-300 years old from old growth teak that is no longer available anywhere on the planet. The reclaimed teak has something plantation teak could never provide. The strength, the patinas, the old growth and green factors make Indoteak Design 100% FSC reclaimed teak the rarest in the world today. 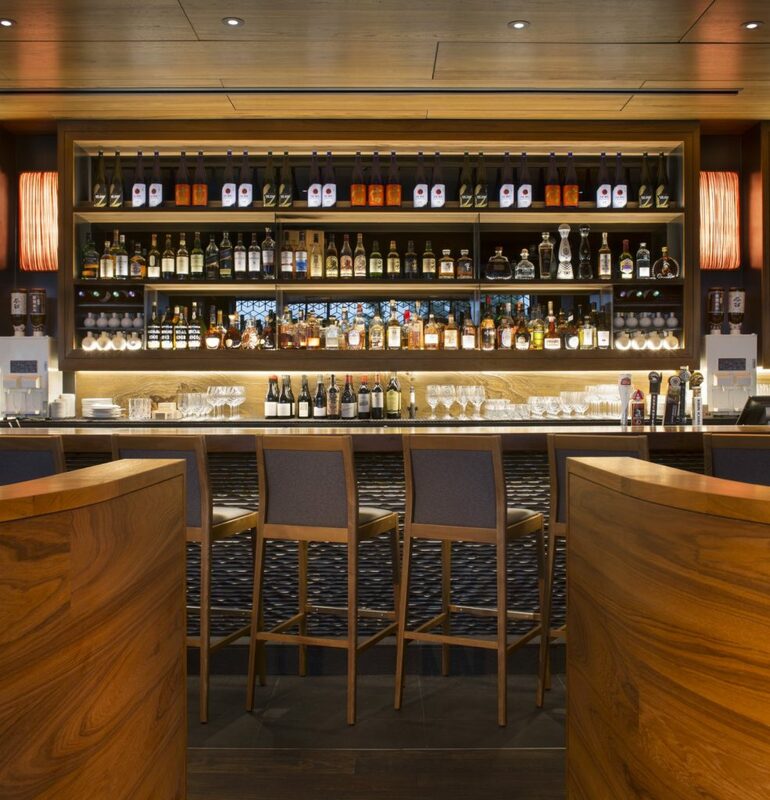 As you walk into the bar area, the decor and lighting is remarkable. Besides the strength, water resistance, termite resistance and stunning looks, our reclaimed teak also has healing properties that have been known to to the world for centuries. The calming effects of the teak wood run deep. Used in candles and perfumes to this day, the natural oils of the teak give off a soothing scent that is subtle but has proven to be calming and used by indigenous people for thousands of years. The wood itself has been used by healers, shaman and doctors around the globe for its healing properties. 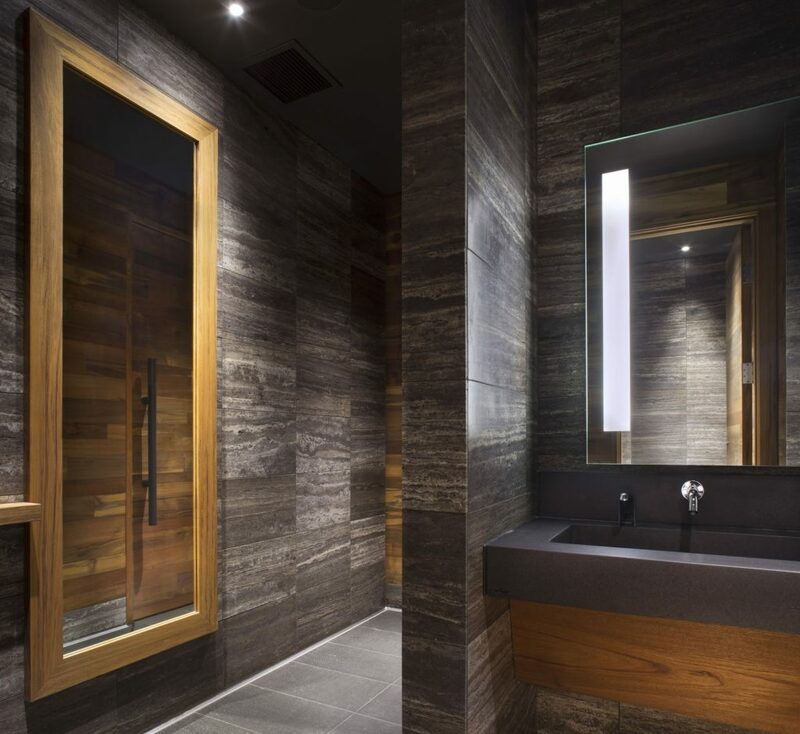 The wood and its oils provide a surface that has been proven to help calm body and mind. The light warm tones promote calm and peace with its beautiful patinas and patterns. 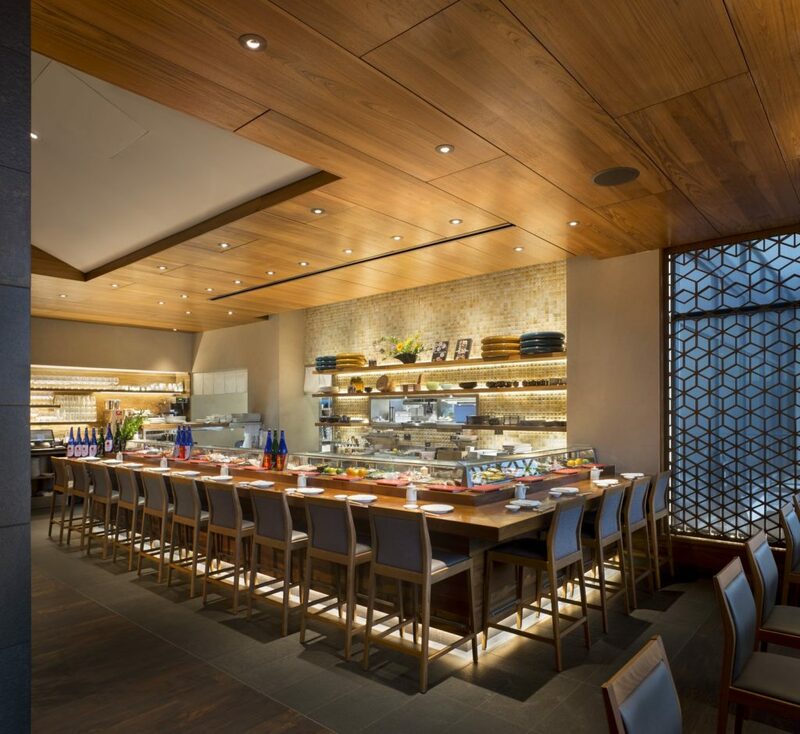 Lets talk about the custom reclaimed teak bar top at the sushi bar. Matsuhisa spared no expense in committing to their interior design. The dining tables, flooring, ceiling and paneling was all done in reclaimed teak from Indoteak Design. 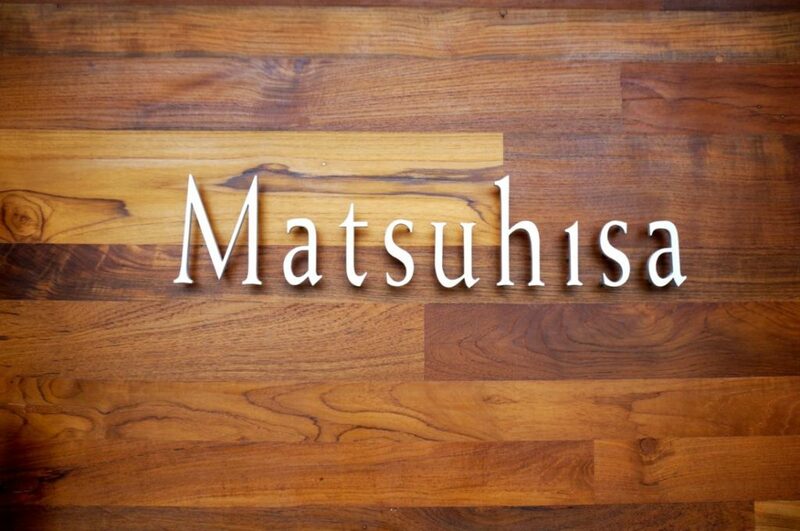 Clean and classy is what the decor of Matsuhisa Denver has on offer. To see more of our flooring and how it stands up to the demands of restaurant and hospitality use you can view the SPEC SHEET HERE.